Alabama Rhodesian Ridgeback Rescue View other Rhodesian Ridgebacks for adoption. 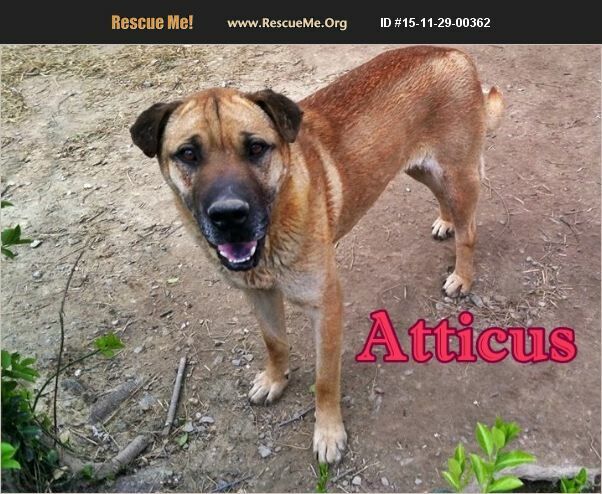 Atticus is a 5 year old male. His birthday is July 4th. Atticus needs a special adopter who will be patient with him. Atticus is very shy towards strangers and needs lots of TLC and attention for him to blossom. Atticus would love his own family and home. Please contact us or visit the shelter if you are interested in Atticus. We have a new area at the shelter called the 'Mona Mae Bark Park'. It is a private wooden enclosed fence area where you can bring your family and meet a dog like Atticus to see if he is a good match for your family. If interested, please call the shelter at 256-561-2411 or just bring the family out during business hours to meet Atticus. Atticus is sponsored by Steven Lindsey and Haley Evans while he is at the shelter waiting for his forever family and home. Thank you Steven and Haley for all you do for Atticus.